Friend of ours noticed late last week that his tweets were no longer showing up in Twitter searches. So I searched for his name, complete with Twitter handle, and saw that his tweets from the last two weeks weren’t showing up in searches, except those in exchanges with me, probably because we follow each other. I conducted the same searches for others in our circle and found the censoring applied to the more prominent members, but not to all. One gentleman with over nine thousand followers (whom I’ll not name) had all his tweets undocumented; I mean, none of his tweets (over a period of years) come up in a search. Now this could have been a hiccup in the system; perhaps Twitter’s search engine was lagging a few weeks behind. But the distinct correlation between the distance a person’s tweets departed the Overton Window and the delay in turning up said tweets in searches was suspicious. Our friend meanwhile was actively tweeting about his possible shadow banning, and letting Twitter know he knew about it. Several others did the same. Next day, all the searches were restored. Shadowing banning? On social media, it’s when all appears normal to a user, but where that user’s content is in some way hidden from all the other users. In this case, it appears Twitter let users talk to each other but removed the rest of the community from searching the content of these users. This isn’t the first time Twitter did something like this. A few weeks ago Twitter, in the weakest form of ban it has in its armamentarium, petulantly removed the verification badge from Breitbart’s Milo Yiannopoulos, who uses the handle @Nero. This move blew up in Twitter’s face and resulted in many new followers for Yiannopoulos and in worldwide negative publicity for Twitter. Twitter also removed, partially, the ability to easily search for the incident. Twitter never explained and it never put Yiannopoulos’s badge back. Twitter has also outright banned, as in kicked off its system, many others. It doesn’t take a statistician to tell you the commonalities of most users cast into the wilderness. Word is that Twitter will make the banning official “to tackle ‘trolling’ and ‘abuse’“. Which is strange for a system where everybody has to designate who they want to see, and where anybody can block anybody. Well, now, what do you think of that? It is, of course, Twitter’s perfect right to ban anybody they want, willy-nilly, or formally. It’s their playground and we pay nothing for it. So I’m not complaining, but I am noticing. The first thing I notice is that Twitter wants to increase its followers, which they, and Wall Street, consider necessary to boost the stock price, which has fallen by half since the return of CEO Jack Dorsey. The executive staff has also fallen off, with a bevvy of top people bolting not too long after Dorsey’s return. Still, the relevant question is: will Twitter gain followers from muting people on the right? The idea is to let people follow non-progressives, but to keep sensitive, triggerable eyes from accidentally discovering their opinions. That works, but the maneuver if applied widely tends to drive content towards the average, to the banal, to the same thing you can get anywhere. Why go to Twitter when it’s just an endless retweet of NPR stories? Twitter regards right-wing thought as harmful to itself. Let that be so, and let them make it known to the world that “extremists” are no longer to be found on its system. Will those progressives and lefties who have been holding back in fear now throng to the site? Consider too that as word gets out about these bans that people will be reluctant to try Twitter. And folks like me, who provide (so Twitter stats tell me) tens of thousands of impressions a day, might wrap it up and head off into the sunset. Problem is, Twitter is too specialized, its content too transient. Twitter is like a cocktail party where the conversation never stops, and where you can pop in and take part, but where it’s difficult to discover what exactly was said before you go there. It’s only for the truly Internet-savvy. Casual users don’t get much out it. You also have to like to argue and pay attention, which isn’t most folks. So I think Twitter is already at its true maximum in terms of active users. Of course, any number of people can sign up, but if they don’t engage consistently, Twitter won’t realize any new substantial advertising dollars from whatever users it can coax out of the dark now that I and folks like me have been censored. In other words, it’s time to short the stock. Any alternatives to suggest yet? * There’s always RSS and blog surfing, but the latter is tedious. Some Catholic liturgical podcasts have been rated NC-17. When I asked why, the T-mobile rep said that “politically questionable” material was blocked but the blocking could be appealed to Apple. I informed Sr. Sean @ Monastery Podcasts & she was stunned. Some of the Vatican Radio stuff got the same treatment. Being a late adopter I’ve been thinking about going on Twitter and Facebook but hell, if I want to have my thoughts not published I can do the same by not signing up in the first place. I recall a couple of yrs ago FB experimented with manipulating the news feed to see if that would influence people’s political attitudes (it did, at least in the short term). I forgot to say I had an old aunt nicknamed Tweets. This is all very depressing because it’s not surprising. I don’t trust google searches any more. Some of this has to do with my own ignorance but having been reading about what is possible with respect to information corruption and hacking it’s not a reach to think that Twitter and Facebook have sunk this low. I had heard about the open mike moment with Zuckerberg and Angela Merkel. Angela has 80% of Germans disagreeing with her and yet she pursues this madness against the overwhelming truth, facts and numbers of actual people who disagree OFFLINE. Media users have to learn that virtual reality is not reality. I’ve never had a Twitter account never liking the “following” and “followers” concepts. As for Facebook I have an account but never liked Facebook and since someone recently altered my security information haven’t been allowed full access!. If I want to send someone a message I send an email, (Now they’re blocked too) I had a go at guessing some of the “friends” from photos to “log in another way” and failed to recognise them which was a giggle. Real friends don’t need Facebook. Facebook knows this, it’s the flaw in their business model. Twitter isn’t far behind. It’s a medium where there’s just enough space for insults and factoids and not room , interest or attention span for truthful argument. It appeals to ignorance therefore it attracts a lot of it. By Indulging in shadow blocking or similar they open a niche in the market for a new system. The more they control the faster the rout to something better. 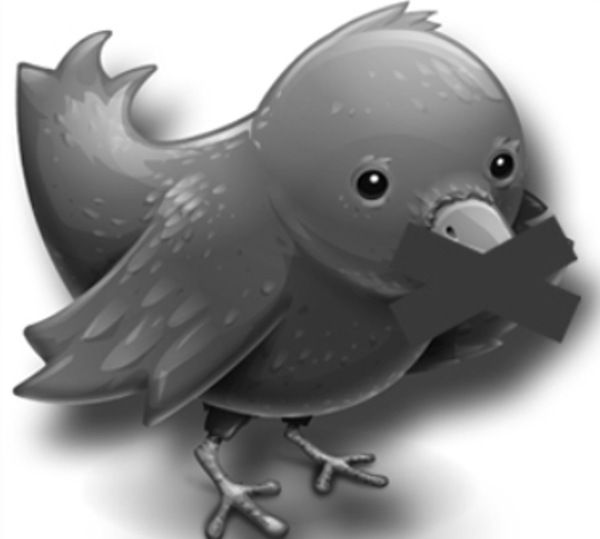 A Freedom of speech debate goes on as loud as ever so Facebook and Twitter sink to new counterproductive lows. My Apple was hacked, Still isn’t right despite reformatting and five hours in the Apple shop with a genius! The fox guards the chicken coop on the internet. They can break your programmes, that’s all. Wikipedia is doing the same thing. Search ‘Happy Amercian Couple’, then click Images. Notice anything? American american same pictures. It’s easy to see why because people have been searching American couple without the “happy” but the articles contain the word “happy.” Just a guess. “Amercian’ american, see now spellcheck wants to work. “In lieu of violence, speech is one of the best ways for people to vent their feelings and frustrations. Remove the right to speak about your frustrations and only violence is left.” I mentioned this to my senator last year—if we vote in people we trust and who say they are on our side and turn out like Speaker of the House Judas, the one non-violent method for removal has been ruled out. Jerry: Race proportions are completely fictional. Plus the second photograph is of terrorists. Interesting. Shadowed Tweets sounds like a brief character in Dune. (or maybe it was Shadout Mapes) played in the movie by Linda Hunt who was ironically killed by a hunter/seeker. Twitter isn’t about conversations. It’s about celebrity culture, marketing the appropriate messages to the masses. To Bob’s point, if some Catholic podcasts get the NC-17 rating, can we expect a surge of teens interested in the faith? If it’ll upset their parents, so much the better. Second, if Silicon Valley is working on software that will “read our thoughts” what is the point of social media? I have no desire to share my thoughts unless you’re in the same room as I am. Most thoughts that people have should go unsaid, untapped, and ignored. Everyone has been working on reading thoughts since the first human being figured out he had no idea what the second human being was thinking and did not like that. Software can be made that appears to read thoughts—psychics do that all the time. But mind reading is a holy grail, a fantasy that people engage in and make lots of money off of while selling a fake. Can you imagine a political race where the thoughts of every candidate was posted on the screen? Hillary thinking “I have to lie for the big banks—they just gave me another 100 mil.” Trump thinking “Is my hair okay?” Bernie thinking “Who cares about socialism when you’re in charge—you’re exempt from that silly stuff.” Cruz thinking “If we can read minds, maybe we can get cooperation by mind bending and I can actually get something done.” Entertaining, perhaps, but disasterous in the end. Humanities self-destruction. I have no desire to share my thoughts unless you’re in the same room as I am. If so, why did you post a comment here? Don’t reform Twitter — replace Twitter instead. I personally don’t feel a compelling need to network with my ideological enemies. I’d rather burn them at the stake for being the witches they truly are. Jones, Spoken like a true Catholic. Previous Previous post: Obama’s Climate Challenge. Do Business Leaders Dare To Take It? Next Next post: Still Trust Government & The News?